With over 1000 Trucks and Vans out on hire or lease with more going out every week, we are proud to be the driving force behind businesses’ growth across the United Kingdom. Our flexible approach to vehicle hire, lease and rent-to-buy deals, as well as our Ready to Go truck fleet ensures that whatever your business needs are, MV Truck and Van Rentalhas the right deal on the right truck for you. As one of the few truly independent commercial vehicle suppliers in the UK we are proud to offer the widest possible range of vehicle marques. 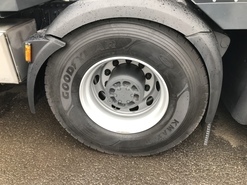 This range is reflected in our ever changing fleet which boasts one of the widest ranges of commercial vehicles, including standard box and curtain trucks and tractors, as well as highly specialist crane lorries, hook loaders and recovery vehicles available on almost all marques. 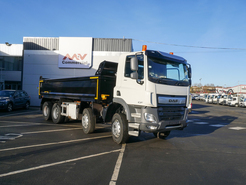 In addition to our Ready to Go Hire fleet, we also specialise in the design and build of bespoke commercial vehicles such as tipper grabs, beavertails and cheesewedge trucks. When you buy a commercial vehicle from us, you know that your growing business is in safe hands as all our vehicles come with a new 12 month MOT and 3 month driveline warranty unless expressed otherwise.